Several cruise ships feature calls at the Azores during their repositioning cruises between the Caribbean and Europe in the spring and in the other direction in the autumn. This remote archipelago west of Portugal is a legendary staging post for sailing ships attempting to cross the Atlantic. 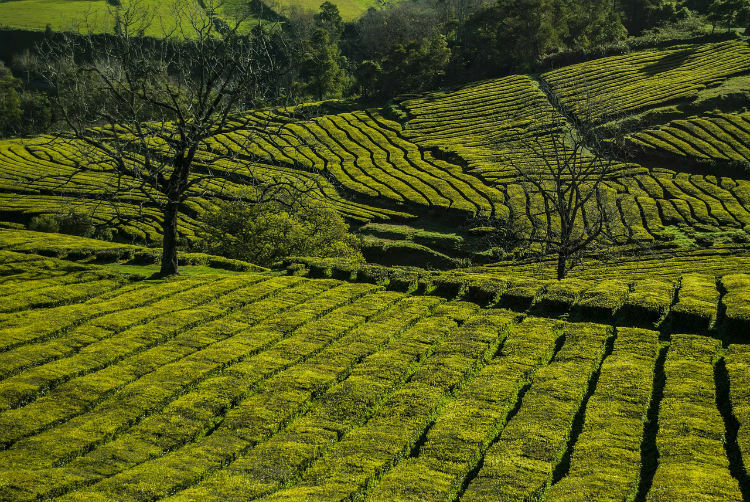 White-washed houses plus 17th and 18th century convents and churches decorate the rolling hills of São Miguel – referred to locally as the ‘Green Island’. 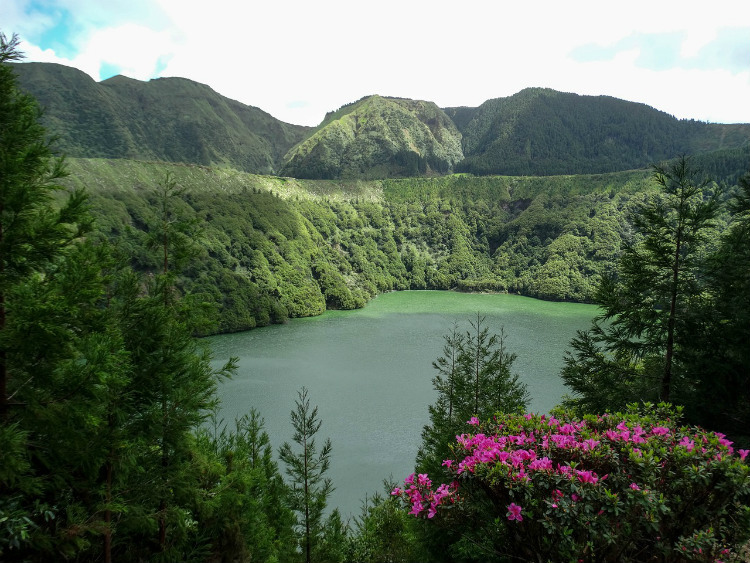 The largest and most populous of the Azores archipelago, this is a popular choice for visiting cruise passengers who sign up for tours to scenic remote crater lakes as well as dramatic geothermal springs. With 50,000 inhabitants and a thriving university, Ponta Delgada has been the capital since 1546. There are constant reminders of this island’s wealthy past when the port was a crucial staging post between Europe and the New World during the Age of Discovery in the 15th and 16th centuries. Leading to some beautiful examples of 17th century Portuguese architecture, the three arches on Praça Gonçalo Velha Cabral were part of the gate through the original city walls. Dominating the mosaic square is the 16th century Forte de São Brás, behind which is Praça 5 de Outubro and the charming Convento de Nossa Senhora da Esperança. 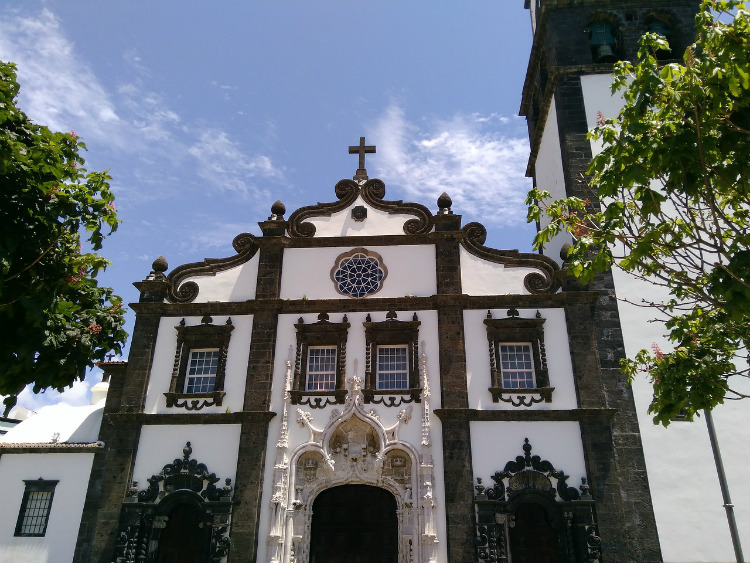 Founded in 1533, the parish church of São Sebastião is notable for its Manueline façade and sacristy decorated with beautiful blue azulejo tiles. Elsewhere, 17th and 18th century mansions surround small plazas shaded by monkey puzzle trees. No visit is complete without seeing Caldeira das Sete Cidades, an extinct volcano which contains two adjoining lakes – just a causeway apart – one emerald-green and the other sapphire-blue. From the Vista do Rei you can get a view of these serene crater lakes as well as the surrounding ocean. On the east side of the island is the Caldeira das Furnas with its thermal pools, hot springs and boiling mud. This is the best place to witness the geothermal activity taking place beneath the surface of the Azores. To enjoy the iron-rich waters head to the swimming pool in the Terra Nostra Gardens at Rua Padre Jose Jacinto Botelho. Try to sample the local cuisine. After relieving muscular strains at the thermal pools at Terra Nostra Gardens, head to Tony’s at Largo da Igreja to sample the cozido à Portuguesa – a ‘pot au feu’ slow-cooked in the underground hot springs. Another good option for island specialities is Restaurante São Pedro on Largo Almirante Dunn. Here it is worth ordering the tasty seafood stew – caldeirada à pescador, or açorda de camarão – a piquant stew of shrimp, garlic and coriander thickened with bread crumbs. Several local bars and cafés serve petiscos – Portuguese tapas – which can be enjoyed with the local white wine – the red is not recommended! Gary Buchanan has been an influential cruise writer for almost 30 years. Based in Scotland, he writes for Britain’s leading national newspapers and respected consumer magazines on a variety of cruise topics. Recipient of several awards for his creative writing, he has also written five books about cruising. His other skills include being an expert lecturer on maritime history aboard Cunard ships during transatlantic voyages. His favourite cruise destinations include the Greek Isles, Thailand and the Norwegian fjords. 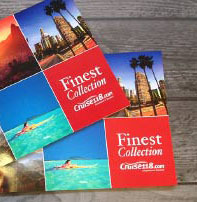 When it comes to river cruises he rates the Irrawaddy, Mekong and Seine as real gems.